Over the last six years, Data and Visualization Services (DVS) has expanded support for data visualization in the Duke community under the expert guidance of Angela Zoss. 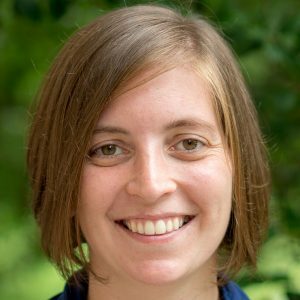 In this period, Angela developed Duke University Libraries’ visualization program through a combination of thoughtful consultations, training, and events that expanded the community of data visualization practice at Duke while simultaneously increasing the impact of Duke research. As of May 1st, Duke Libraries is happy to announce that Angela will expand her role in promoting data visualization in the Duke community by transitioning to a new position in the library’s Assessment and User Experience department. In her new role, Angela will support a larger effort in Duke Libraries to increase data-driven decision making. In Data and Visualization Services, Eric Monson will take the lead on research consultation and training for data visualization in the Duke community. Eric, who has been a data visualization analyst with DVS since 2015 and has a long history of supporting data visualization at Duke, will serve as DVS’ primary contact for data visualization. DVS wishes Angela success in her new position. We look forward to continuing to work with the Duke community to expand data visualization research on campus.